Another accomplishment by Aden Security in the fight against terrorism in South Yemen. 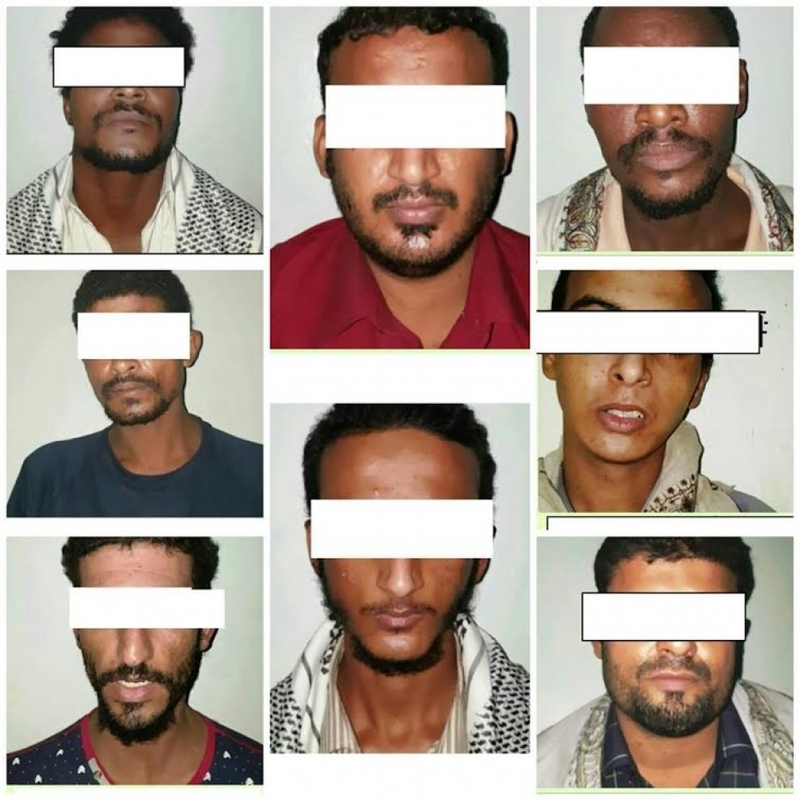 Aden Security- Anti-Terrorism Unit arrested Al Qaeda terror cell made up of eight people who admitted full responsibility for the assassinations of a long list of southern leaders and cadre of military and security officials. The terrorists admitted their responsibility for the assassination of the martyr and leader in the Southern Resistance Ahmed Al-Idrisi and his comrades on Wednesday, 12/31/2015 in the Mansoura district of Aden. They admitted to receiving sums of money for every successful assassination they carried out in Aden, pointing out that they receive these funds through a person within the terrorist cell itself who deals directly with the Al-Qaeda leadership led by Abu Salem that had previously taken control of the local council building in the city of Mansoura. They also admitted and described in detail their operations in Aden including the assassinations of the Emirati soldier commander Al-Shamsi and the southern commanders Taha Al-Sabihi, Hariz Al-Halmi and several other prominent southern security officials. Members of the terrorist cell admitted that they were tasked by their leader to target and kill officers and soldiers serving in the security services within the southern resistance, aid workers, and figures dealing with the Arab coalition forces in order to create a state of confusion and chaos in Aden, and terrorize and intimidate the southern security and military cadres.